BHEL has bagged an order for Rs 4,400 crore to set up a 660 MW supercritical thermal power plant in Uttar Pradesh. 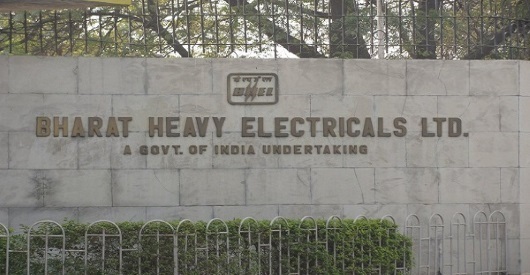 The order has been placed by Uttar Pradesh Rajya Vidyut Utpadan Nigam Ltd (UPRVUNL), the state-owned power equipment maker said in a statement. BHEL on engineering, procurement, construction (EPC) basis. The key equipment for the project will be made at BHEL's Trichy, Haridwar, Hyderabad, Ranipet, Bhopal, Bengaluru and Jhansi plants, while the PSU's power sector northern region -- division will be responsible for construction and installation activities at the site. Over 70 per cent of UP's power generating capacity, aggregating to more than 17,800 MW, has been installed by BHEL. In the supercritical segment, the PSU said it has manufactured and executed 660 MW, 700 MW and 800 MW sets, thereby demonstrating its leadership status and technological prowess. BHEL has earlier also bagged Rs 1034-crore gas turbine-based captive power plant order from HPCL. It won the 'prestigious' contract for setting up a gas turbine based captive power plant on lumpsum turnkey (LSTK) basis under International Competitive Bidding (ICB).